Ahh, the joys of being a mom to three kids during breakfast time; the most hectic time of the day. There is never a dull moment around here from 7-8 am. 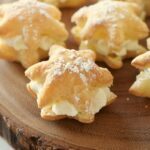 From tantrums concerning overripe fruit to last-minute breakfast hacks; every morning is a new challenge until that glorious time where my girls go to school. Sometimes, do to poor planning, I even forget to eat breakfast and rely on my coffee to magically nourish me which doesn’t exactly work out well. 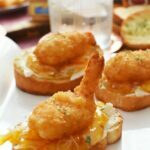 Since my kids are picky mcpickies, they often will like one breakfast food one week, and hate it the next. 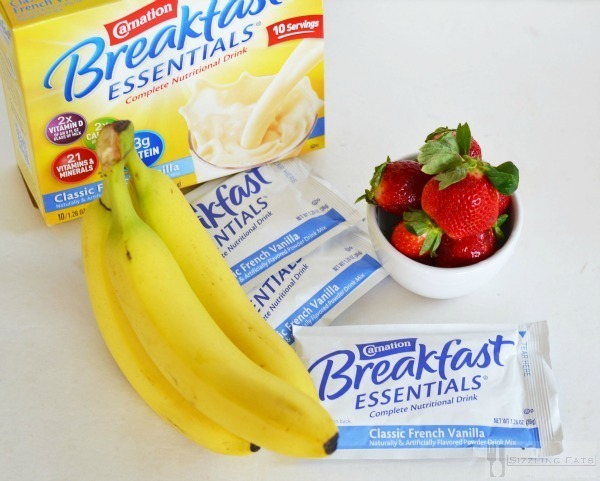 I was just about at my wits end and then in came Carnation Breakfast Essentials® to my rescue! I knew that years ago, this was my husband’s favorite breakfast solution, but then life got in the way and things got hectic. Well, guess what? 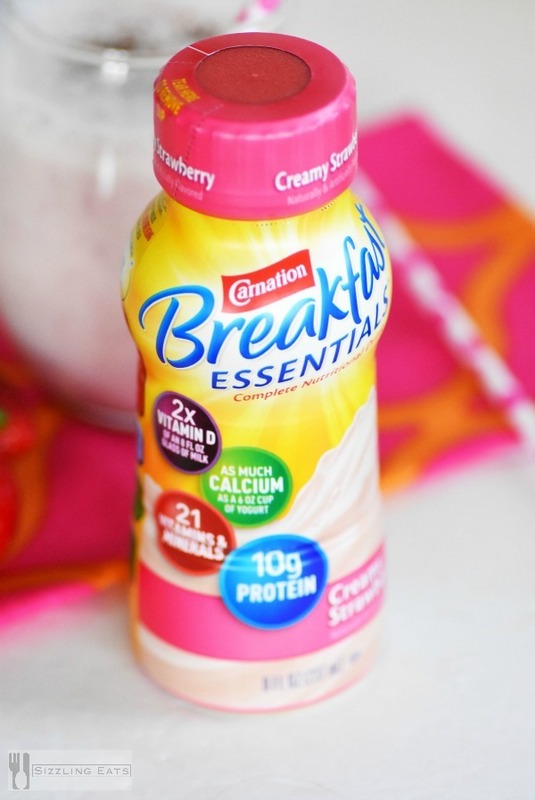 Carnation Breakfast Essentials® is back and it is here to stay! For 7 days straight, I decided to nix the sweet cereal breakfasts and bring back the more healthier options. 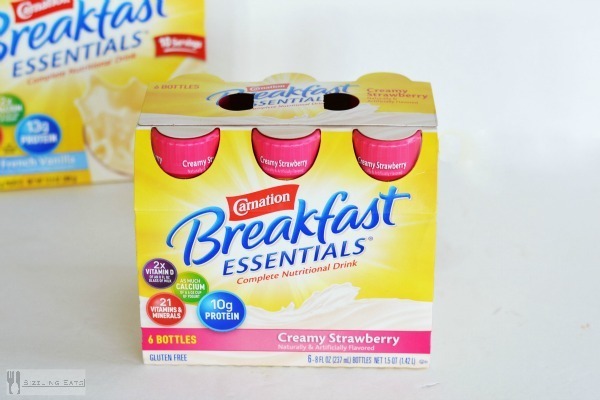 I purchased both the Carnation Breakfast Essentials® Ready-to-Drink Bottles in Creamy Strawberry and the Carnation Breakfast Essentials® Powder products in Vanilla and Chocolate (also available in Strawberry) at my local Walmart. They were located conveniently in the breakfast aisle, and priced well within my budget. For one week, I decided to experiment with different nutritious additions to the already delicious Carnation Instant Breakfast Essentials® products. I added various fruits, and seeds to our shakes to see what the perfect blend would be for my family. 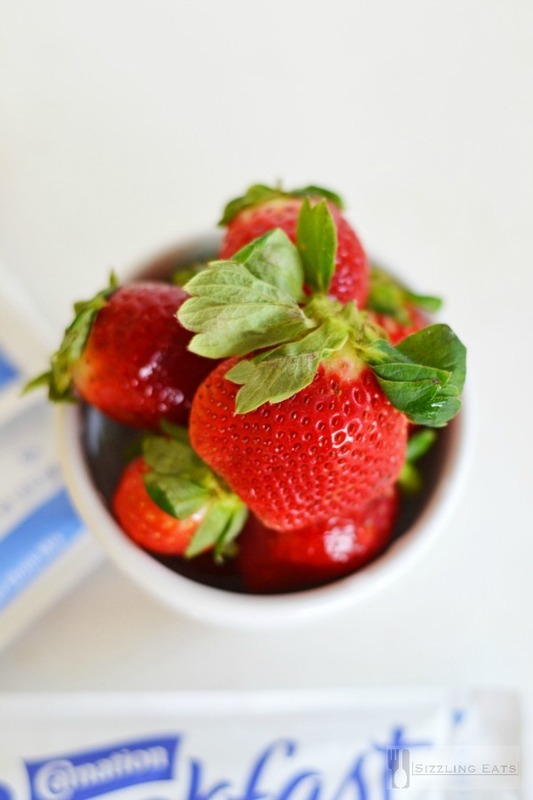 After trying the Carnation Breakfast Essentials® Vanilla Powder mixed with fresh strawberries, bananas, and chia seeds we hit the breakfast jackpot! Not only did my kids LOVE their morning shake, but so did I! 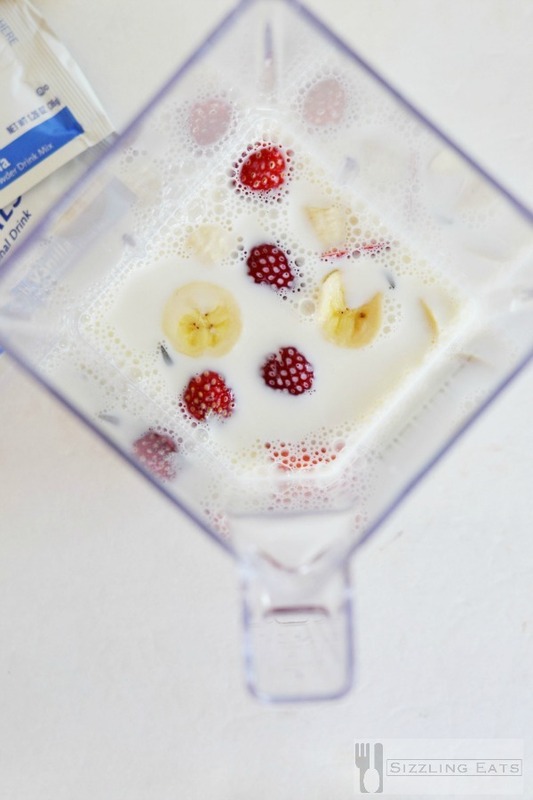 An easy to make Carnation Instant Breakfast shake that even the kids will love. Place milk, Carnation Breakfast Essentials® Vanilla packet, and sliced fruit into blender and pulse until smooth and creamy. Serve with chia. Optionally, you can add 1/2 cup of ice to make a thicker, and more icy shake. 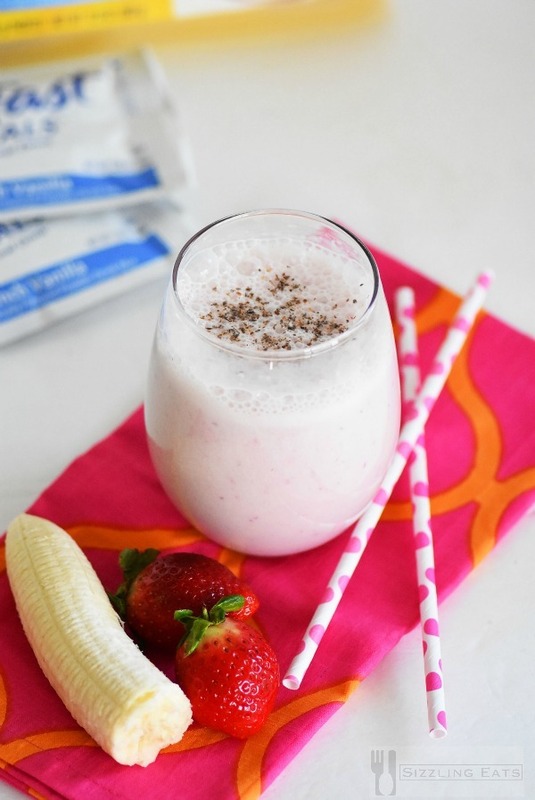 This Easy Strawberry Banana Shake literally took like 5 minutes to make-hence the “easy” part! I am not typically a shake person, but when it tastes similar to ice cream, sign me up! Plus, it sure beats having to toast like 10 waffles every morning or make a bunch of oatmeal! That sounds so good. I always start my day with a smoothie because they’re light and easy to take on the go! That looks so good. I love the Carnation breakfast you threw in there for flavor and extra nutrition. I have not tried Carnation for a LONG time. It never dawned on me that I can add stuff to it LOL! 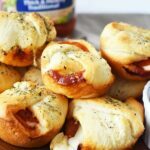 This looks delicious and great for when you are on the run! 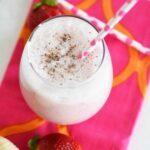 I love breakfast smoothies and this one looks absolutely delish! I’ll have to pick up some Carnation Breakfast essentials. It looks like there are lots of healthy options with this product. Yum this looks so good! 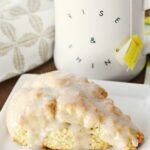 I love Carnation Breakfast, I never thought of combining them with fruit! I love smoothies in the morning. I am not much of a breakfast person so anything I can drink benefits me! That strawberry flavor is one I will try. 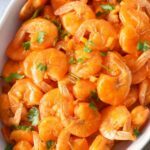 Thanks for sharing your yummy recipe. What a great breakfast idea for when you’re on the go. I love using strawberries and bananas in my drinks. Mmm, that looks so refreshing. I love that it gives you that boost you need. That looks very delicious. 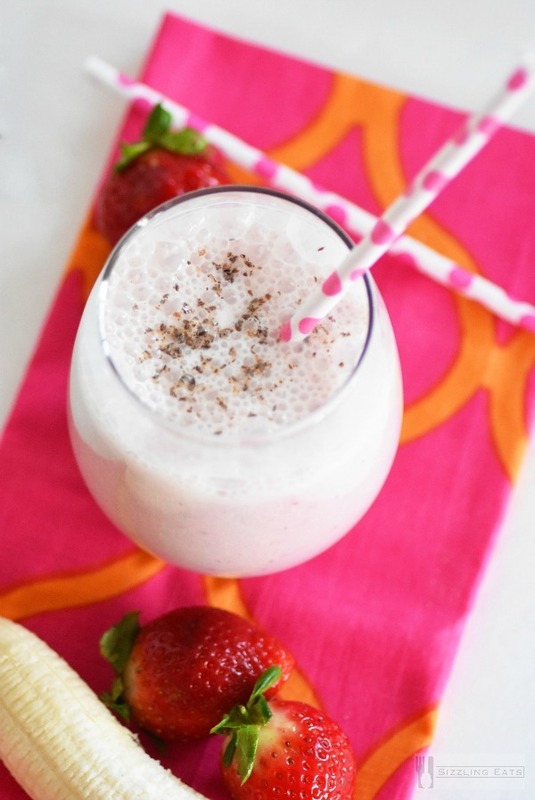 I already love strawberry and banana shakes, so I’m sure this would taste great. I’ve never tried the Breakfast Essentials before though. I’m sure it tastes great too! I am absolutely crazy about my morning smoothies! I have yet to use any kind of protein powder in them though. I love to start the day with a smoothie. This recipe looks delicious. I will have to give Carnation Breakfast Essentials a try. This looks like a delicious shake and easy to make. I will have to pick up some Carnation Breakfast Essentials to try. 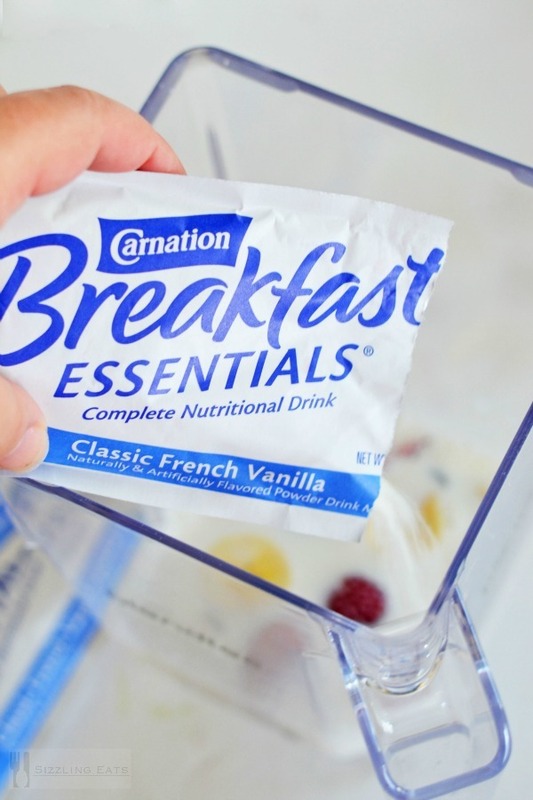 Carnation Breakfast Essentials is a great way to start the day. When i am in a hurry i grab one on the go. They taste great. 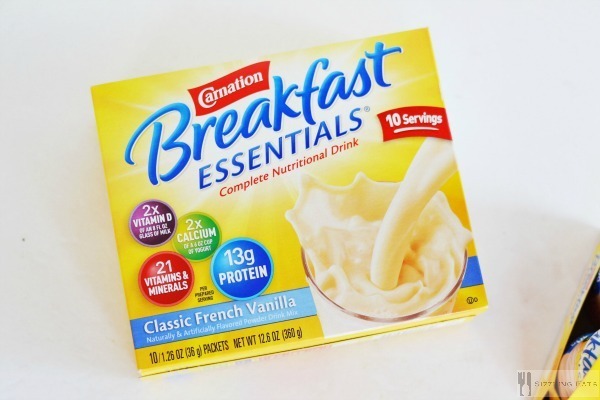 My kids love the taste of Carnation Breakfast Essentials. I will have to try making this shake recipe on the weekend. I’d totally try that shake! I love how simple and easy it is to make, I hate to fuss in the morning most days.